If you are in the last week of contention, be sure you know what you need to secure a play-off spot. In my most competitive league, I have a three game lead. Basically, all I have to do is go 5-5 (the likelihood of the second place team winning 8-2 or 9-1) is very small, so I’m focused on gobbling up categories. Now is the time to study and come out with a game plan for getting back on top. 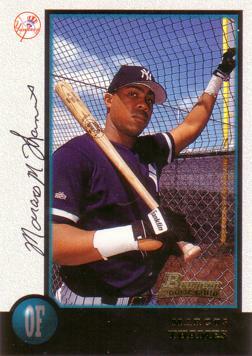 Marcus Thames – Thames, who once started as a young Yankee prospect, is back in pinstripes and hitting like we all thought he would back in 2002. Over the last seven days, he has belted five HRs, knocked in eight runs and batted .471. At the moment, he is really only someone to watch, as he, typically, only plays against lefties (with good reason). If you are capable of streaming him, grab him when the Yanks face a southpaw (he has a career .268/.340/.521 line against lefties). He did hit 25 HRs not too long ago—so, he could provide some punch down the stretch. Freddy Sanchez – For some reason, I’ve never connected with Freddy Sanchez-type players (Placido Polanco, Doug DeCinces, Rex Hudler, and Mark Loretta). Sanchez, especially, has garnered a lot of attention because he won a batting title, yet he has struggled to regain that form for a few years now. Still, he has looked good over the last seven days (.625 AVG and six runs) and is getting a chance to hit atop a surprisingly potent Giants line-up. This could put him in line for more runs down the stretch. As far as second basemen go, he could be a decent flier as someone who gets on base and scores. 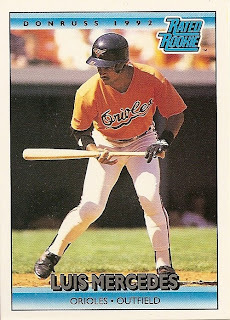 Drew Stubbs – While I’ve never loved the Sanchez-type, I’ve always like Drew Stubbs-like players (Luis Mercedes, Devon White, Brady Anderson, Oddibe McDowell). Stubbs has been doing his best Devon White-circa 1989 impression lately (four steals and a .348 AVG over the last seven days). While he has disappointed at the plate (.242 AVG), he is closing in on a 20-30 season. He also crushed the ball down the stretch last season, so you might as well give him a look. Kevin Kouzmanoff – Kouzmanoff, the Pac-man of available RBI guys, always seems to be the most available run producer. Over the last seven days, he knocked in eight runs and added two HRs. While his average will never help you and he doesn’t really hit for much power, he’ll get some RBIs. If that’s what you need, no harm in adding. Todd Helton – Todd Helton was my first ever fantasy baseball selection. I also like his beard. So I was thrilled to see him shaking the dust off and putting together a useful seven-day stretch (.417 AVG and two HRs). He is also about to pass Ted Williams on the all-time doubles list! Still, I wouldn’t be running out to pick him up. Wait a week or so to see if he got his groove back before you ad. Logan Morrison – I find myself really liking Logan Morrison, and it’s not just because I have him in my NL-only keeper league. The kid just gets on base (.320 AVG over the last seven days with nine runs). He has a .400 OBP in 116 MLB ABs and a .383 OBP across five minor league season. When you get on base, good things happen. If you need runs/AVG/OBP, give Morrison a shot. Jason Donald – One of the “bounty” the Indians got from the Phillies, Donald hasn’t been overly impressive in his major league career (.266 AVG and .320 OBP), so far. Well so far doesn’t include the last seven days, or it does, but whatever; Donald has killed the ball of late .444 AVG and five runs). Donald has posted useful minor league stats (.371 OBP) and flashed some nice speed. He could be a better version of Ryan Theriot. Xavier Nady – With the Derrek Lee trade done, Nady has a clearer path to a few more at bats. Over the last seven days, he hit .409 and added a HR. Capable of 25+ HR seasons in his prime, Nady could provide some useful power down the stretch. Rick Porcello – Here I thought the Porcello bandwagon had been put out of its misery, but the young “ace” has been making some decent turns of late. In two starts over the last seven days, Porcello went 14 innings and posted a 0.64 ERA and 0.43 WHIP. He has actually been a bit unlucky this year (just a 63.5% strand rate), so his ERA could be about 0.75 lower. I still don’t love him as he doesn’t strike anyone out, but he has officially become someone who you could think about streaming. Hey, it could be worse. In case you didn’t click on the link, it was to Stephen Strasburg. Ian Kennedy – One of the biggest mistakes of my 2010 fantasy baseball season was picking up, and then dropping Ian Kennedy – dude has 140 Ks! While it has been an up and down year, his last seven days (12 Ks over seven scoreless innings with a 0.43 WHIP) sure helped some h2h squads. For the season, he has a bit of a lucky BAbip (.273), but should remain about a 4.50 ERA pitcher who strikes out eight batters a game. If that isn’t useful in your league, you need to add some owners. Nick Blackburn – Paul McCartney’s favorite Twin has been pitching like the favorite son of a knight (last seven days: 15.2 IPs, 11 Ks, a 1.72 ERA and 0.77 WHIP). In the dead of night, Blackburn has been on the short end of the luck-o-meter (.323 BAbip and 65.1% strand rate), but has still pitched like a guy with a 5.23 ERA. In deep leagues, he can be a streaming option for those in search of wins, but I won’t endorse him anymore than that – I mean he makes Porcello look like Nolan Ryan. Joe Blanton – Maybe it’s his portliness or the fact that I always imagine him in overalls, but I like Joe Blanton. His last seven days have been downright watermelon-festival-like: 13 IPs, 12 Ks, a 1.38 ERA and 1.00. Sure, his 2010-line doesn’t look great, but he hasn’t had much luck on his side (66.7% strand rate and a .334 BAbip). He has performed a lot more like a 4.21 ERA-pitcher than a 5.20-pitcher. He makes a pretty good add down the stretch. Derek Lowe – It’s amazing what a half-decent reputation will get you. For Lowe, it’s ownership levels about 50% in Yahoo! leagues. I hope those owners weren’t paying attention over the last seven days, as Lowe threw up two clunkers (just nine total IPs, an 8.00 ERA and a 2.00 WHIP). That WHIP is downright scary and he hasn’t been all that useful when it comes to striking batters out (just 5.9/9). There have to be better options out there. Travis Wood – I’ve been on the record as both a fan of Wood (hahahaha) and pessimistic about his future success. 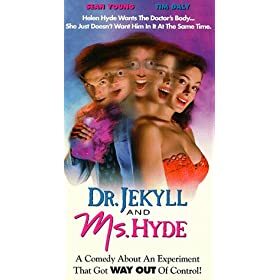 Wood was a lot more Mr. Hyde than Dr. Jekyll in him over the last seven days (nine IPs, a 10.00 ERA and 2.44 WHIP). To date, he has been pretty lucky (.260 BAbip and just 6.4 HR/FB). He’ll continue to put up a decent K-rate (7.19 on the year), but he isn’t anything more than a spot starter. Mike Stanton – For all the love that Stanton has gotten, he is being outplayed by Logan Morrison. Over the last seven days he is 0/17 and is actually zero for his last 29. He is a streaky player, as evidenced by his other KP All-star performance, but he is someone you can drop and pick back up at the first sign that he is hot. I wouldn’t wait on it. Ryan Howard – I’m using Ryan Howard’s horrendous last seven days (2/25) to talk about what has been a disappointing season. I know he has been on the DL, but people are going to use that an excuse, when, in fact, it is just masking the problem. Let me get this out of the way, I’ve been a Howard defender over the years and am a Philadelphia Eagles fan, so, in no way, do I harbor resentment to the big fella or the city of brotherly love. Point of fact: Howard’s HR/FB percentage has dropped 12 points since 2008. In addition, he has his worst ISO of his career at .218, substantially lower than his career average of .294. It will be interesting to see how he finishes the year as it will determine if he is the standard 40+ HR guy he has been. Bobby Abreu – I’ve always been an Abreu fan, as I’ve always loved players who could hit the long ball but also steal a base. In addition, in my most competitive league, we use OBP instead of AVG, which has given Abreu added bonus. This year has been tough, though, as indicated by Abreu’s last seven days .048 AVG and a stolen base. He has seen his average plummet about .040 pts, and, along with it, his OBP. He is striking out a bit more this year and walking a bit less. While he is hitting for a bit more power this season than in those previous, he isn’t stealing bases with his normal success rate. If I have a chance to give him a week or so more, I’d do that. However, if I’m looking for someone who can provide me with power and speed and I’m not concerned about batting average, I’d probably take Drew Stubbs over him. It’s time to catch lightening in a bottle. FB101’s 411: Be sure you know how to judge a hot streak. Stubbs, Morrison, Kennedy, and Blanton make good adds. Keep your eye on Helton, Donald, Porcello, Nady, Sanchez and Thames. You are allowed to sort of give up on Derek Lowe, Travis Wood, Mike Stanton and Bobby Abreu. I know he’s been facing bad teams and he’s a complete nutjob, but he’s really been pitching well. I think he’s figured something out to get through the rest of this dreadful season for the Cubbies. I wrote about him at http://www.fantasybaseball101.com/2010/08/05/h2h-corner-video-killed-the-radio-star/. Basically, i said I foresee a rosier picture for big Z. Zambrano is striking out 8.5 batters per nine this year – which could end up being the second highest of his interesting career. He isn’t walking anymore hitters than he usually does. He isn’t giving up anymore HRs than he usually does. He is giving up about three more hits per nine than typical. When you have these stats you look at BAbip to explain how a pitcher has gone from useful to horrible. His BAbip is .380, that’s horribly unlucky. His FIP is that of a pitcher with an ERA 1.5 points below where it currently sits. I’d be stashing Big Z.
I actually dropped him in my league and he has since been scooped up. Do i like him more than Jason Hammel? No. But i think there is value there. Really good find and choice by you!